Place your order by 4 PM EST Today and we will ship it by Friday, May 3. Ships by Friday, May 3? 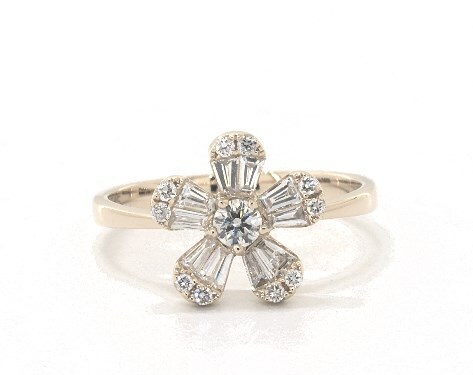 This diamond studded flower cocktail ring combines modern and vintage elements for a bold and unique look. Each petal features round cut diamonds atop diamond baguettes, beautifully crafted in 14K yellow gold.